To catch an artist 100 percent invested in a live show isn’t common. We often watch concerts where musicians and bands are halfway invested: physically present yet not emotionally, lacking a sense of audience interaction and connection with fans. During the Detroit stop of the N.O.W is the Time Tour at the Magic Stick, Nightmares on Wax were devoted not only physically and emotionally, but also spiritually, as DJ EASE and his live band gave the performance their all. The show was powerful, soulful, intimate, moving, expressive and influential, all of which only begin to describe the lingering effect of Nightmares on Wax’s momentous first-ever Detroit performance. Although a somewhat light crowd, it was a dedicated group of fans who were just as equally invested in the music as DJ EASE and his support. 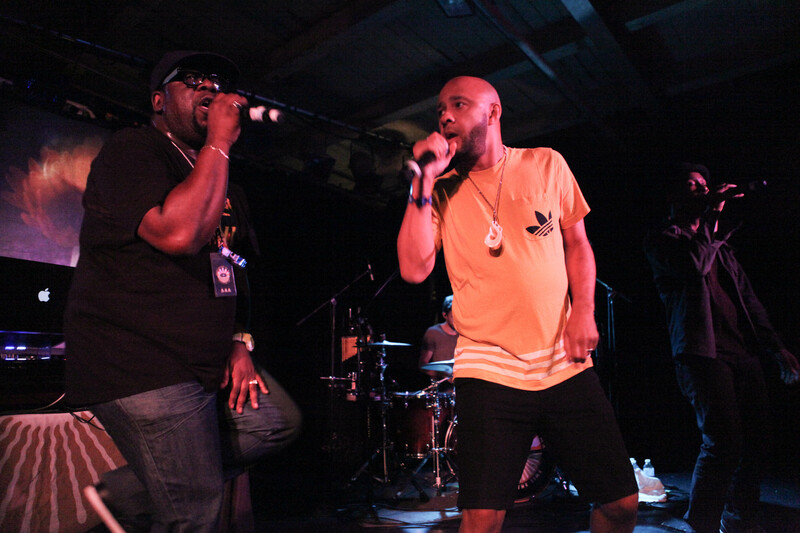 Stepping away from early Nightmares of Wax sound, which was mostly DJ-based, the live band incorporated a drummer and two singers, giving the show less of a studio feel and more vivacity as a full-fledged musical experience. Detroit DJ Ernie Guerra fixed the upbeat tone early in the night with an ‘80s disco set including Magazine 60’s Italo-disco hit “Don Quichotte” and Laidback’s “White Horse”. Nightmares on Wax kept the vibe going as the band ripped through a 20-song set list without so much as a tiny break. There were no downtimes, no lags and no slow moments; the strong energy was present from start to finish. It reflected upon the crowd, especially during DJ EASE’s many motivational speeches. 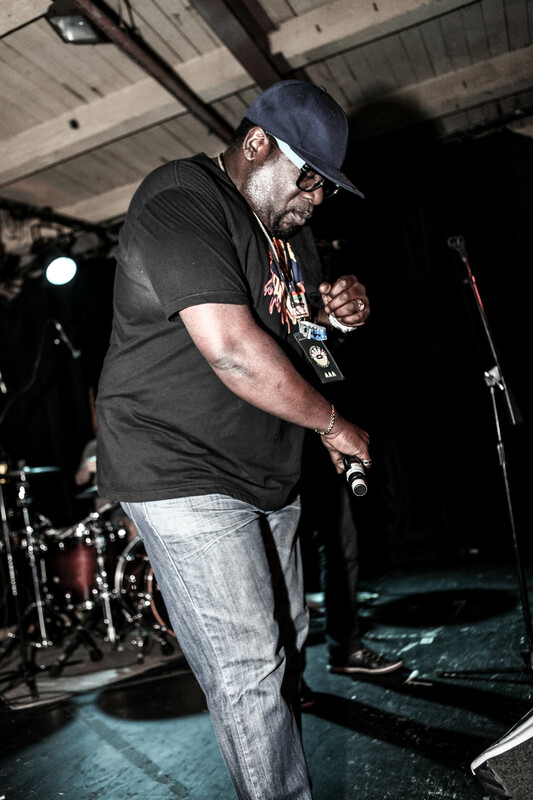 One in particular took the audience back to 1988 when Nightmares on Wax was working on self-releasing their first album in Leeds, where DJ EASE and then co-member Kevin Harper borrowed money and sold the freshly developed sound. It landed them a record deal, followed by a three record deal, setting the foundation for early trip hop to take form. Known as some of the pioneers of the trip hop movement, Nightmares on Wax dropped the ultimate trip hop classic, “You Wish”, which was sampled by Pretty Lights years later. It was greeted with a tremendous response from the audience. However, this version was a medley of “Fuzz”, “You Wish” and “Seems Like”. Other crowd pleasers were the opening number “Now is the Time”, “Da Feelin” and “Mega Donutz”. “I Am You”, a soulful and moving track, left fans mesmerized. As the set came to a close, DJ EASE and the band took one final bow, the crowd sending off the group with a remarkable cheer. Nightmares on Wax poured their hearts and souls into the Detroit performance, and we left with all expectations met (if not exceeded), and also without a single suggestion for improvement.